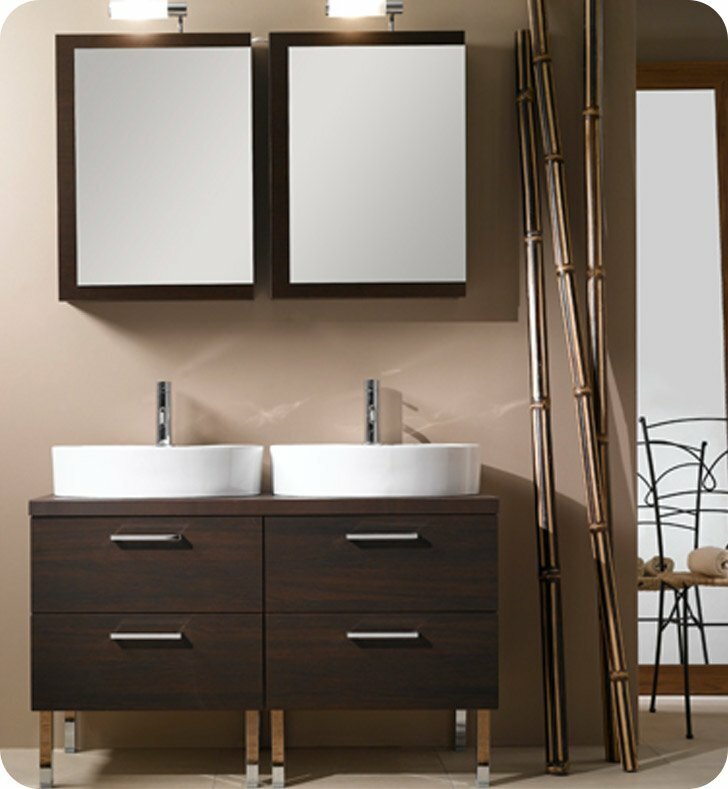 A decorative bath vanity made in the highest quality wood and finished with glossy white, wenge, or gray oak. 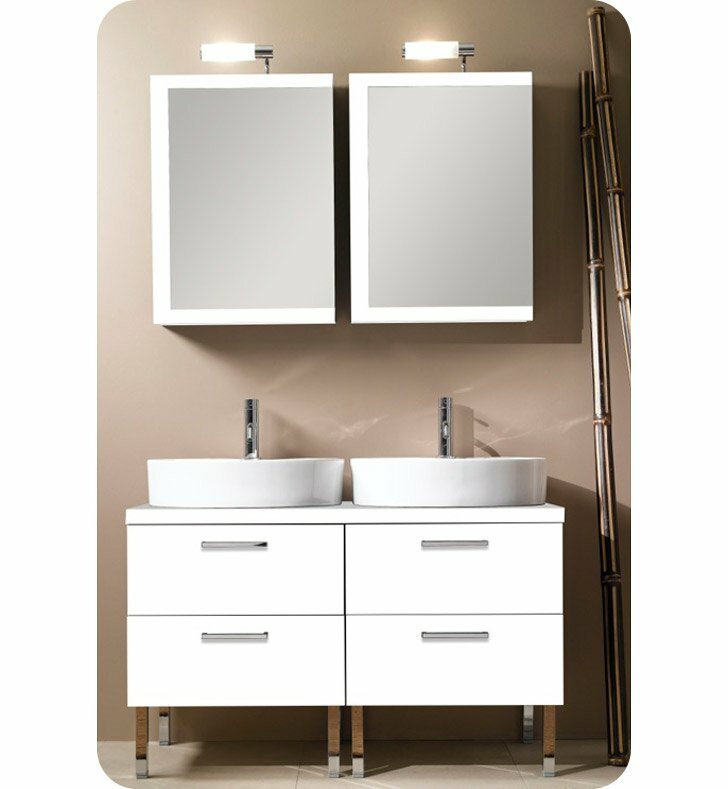 This bathroom vanity from the Iotti Aurora collection is a contemporary-style bath vanity. Imported from Italy. Is best in your designer bath. 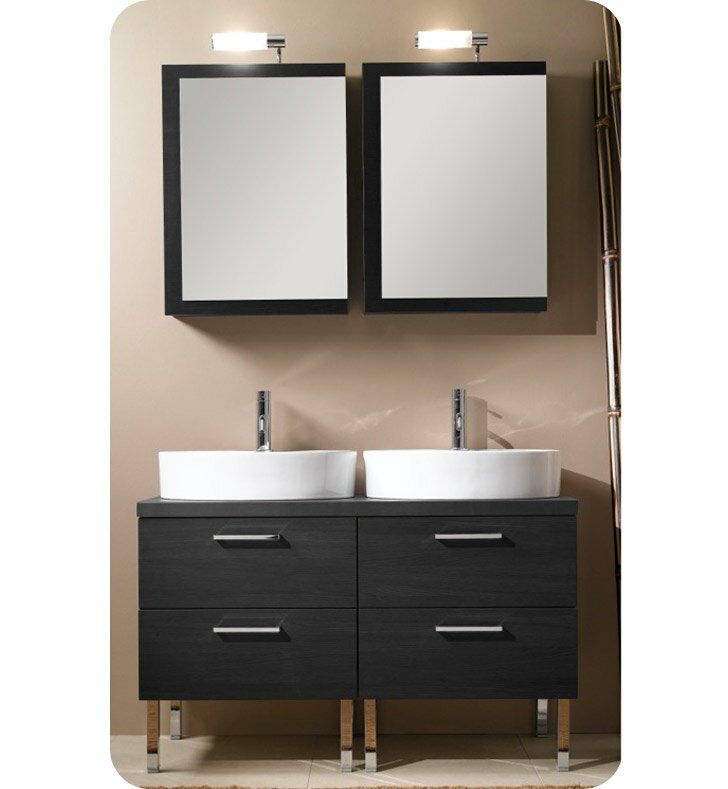 Wood Top wenge finish: double sink: 45.3" x 18.9"
Vanity: W 45 1/8" x D 18 7/8" x H 18 7/8"